The Pacsafe Transit Men's Insulated Vest - Jet Black is designed to keep travel simple for every-day commute. The vest has six elegant pockets for your phone, passport, wallet and more, with RFIDsafe™ Material to shield your personal details against unwanted scans. It is made with Bluesign® approved Clomax Brio Insulation that keeps things inside the vest warm yet lightweight. 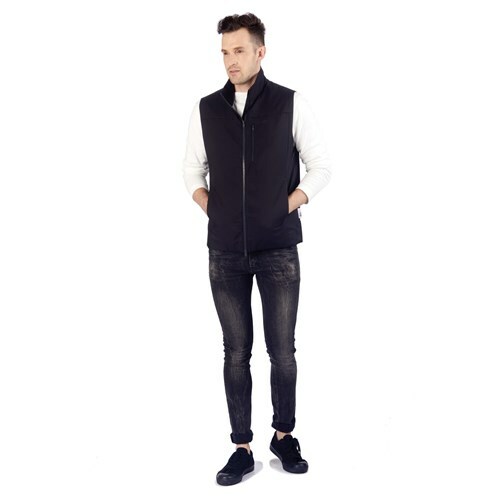 The vest also features water-repellent material and can be packed into a comfy travel pillow. It uses a partially plant based polymer that delivers moisture-wicking and long-time wear performance. The Pacsafe Transit Men's Insulated Vest keeps all your carry-ons secure and keeps you moving. The Pacsafe Transit Mens Insulated Small Vest - Jet Black has many exciting features for users of all types. 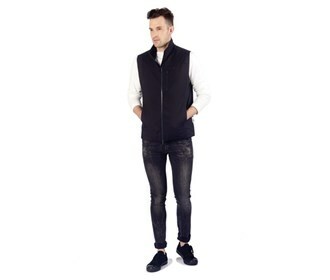 See the Pacsafe Transit Mens Insulated Small Vest - Jet Black gallery images above for more product views. The Pacsafe Transit Mens Insulated Small Vest - Jet Black is sold as a Brand New Unopened Item.